Some people in her life — even some of her mentors — told her it was an unlikely dream. Without a doubt, Tahera Rahman will always remember Feb. 8, 2018. That’s the day she gave her first on-air broadcast as a journalist for WHBF, a television station covering the Quad Cities region in Illinois and Iowa. 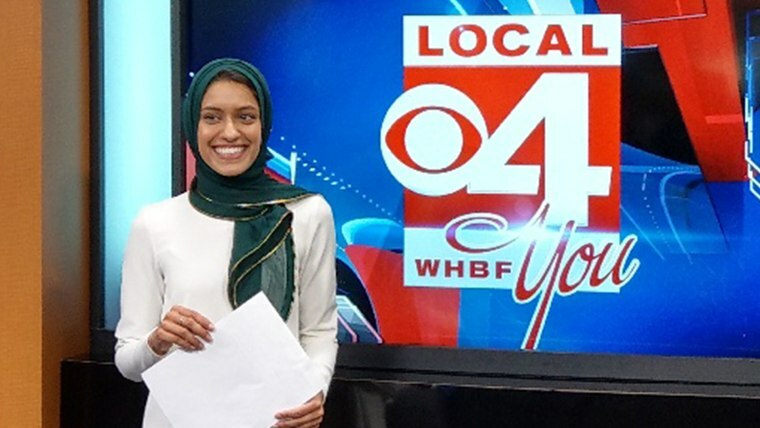 It’s also the day she made history, becoming the first full-time broadcast TV reporter in America to wear a hijab on the air. Rahman, who lives in Davenport, Iowa, had worked at the station for about two years as a producer, but she had always dreamed of a role in front of the cameras. However, some people in her life — even some of her mentors — told her it was an unlikely dream. America wasn’t ready to see a hijab-wearing news anchor, they said. Rahman was determined to prove them wrong. When an opening came up for an on-air reporting job at WHBF, she leapt at the chance to apply. “I knew that I was going to do what it took to be ready for that role; to be the perfect candidate for the job,” Rahman told TODAY Style in an email. After her first, history-making broadcast, messages of support poured in from Muslims and non-Muslims alike around the world. People called Rahman an empowering role model for women and girls. Unfortunately, Rahman has also received some negative, hateful messages, and even threats. But she is not letting that stop her, and she hopes people will eventually change their views. Rahman also hopes her visibility as an on-air reporter will help challenge some common misconceptions about Muslim women who wear hijabs. She wants people to know that just because a woman wears a hijab does not mean she is oppressed in any way. Rahman’s parents have been very supportive of her journalistic ambitions, and when she got discouraged at one point after a series of rejections, her mom was “there to provide a swift kick back to the path,” Rahman said. Since her first broadcast, Rahman’s incredible story has gone viral around the world. She admits all the attention feels “surreal,” but says she is keeping things in perspective. Her main focus is still on her work, and her gratitude for landing her dream job. “It feels perfect," she said. "It feels like I'm doing what I should be doing." Rahman also has a message for other Muslim women and girls with big ambitions.